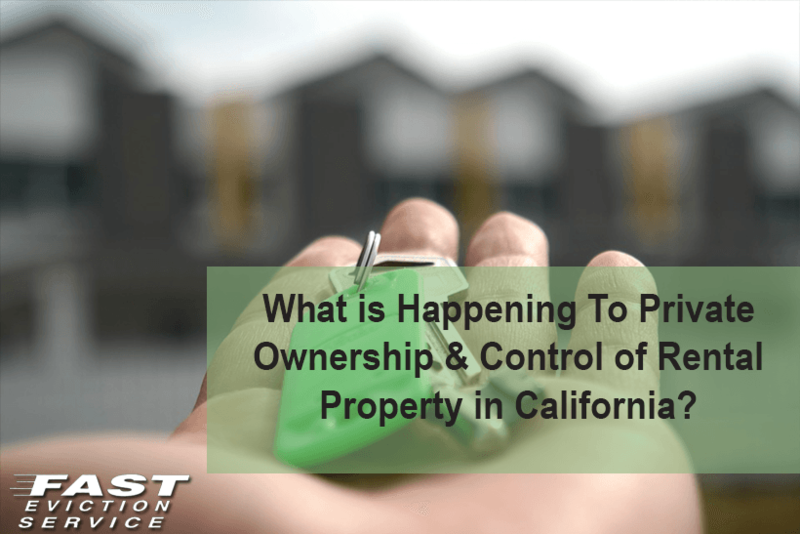 Private ownership and control of rental property in the State of California continues to be under attack. There is a growing trend among certain politicians in the State of California that the owners of rental property are evil and their right to charge fair market rents to all tenants should be controlled. The Costa-Hawkins Housing Act that became part of California Law in 1995 Costa-Hawkins is a state statute that limits the use of rent control in California. Costa-Hawkins provides that cities cannot enact rent control on (a) housing first occupied after February 1, 1995, and (b) housing units where the title is separate from connected units, such as condominiums and townhouses. Costa-Hawkins also provided that landlords have a right to increase rent prices to market rates when a tenant moves out. Prior to the enactment of Costa-Hawkins, local governments were permitted to enact rent control, provided that landlords would receive just and reasonable returns on their rental properties. The latest attack on a landlord’s right to control his or her own rental property and charge fair market rent is on the November 2018 ballot and is known as Proposition 10. Proposition 10 is a ballot initiative statute that would repeal the Costa-Hawkins Rental Housing Act (Costa-Hawkins), thus allowing local governments to adopt rent control ordinances—regulations that govern how much landlords can charge tenants for renting apartments and houses. Proposition 10 would also state that a local government’s rent control ordinance shall not abridge a fair rate of return for landlords. The political leaders behind Proposition 10 have stated that the purpose of state-wide rent control is to create a “Marshall Plan” for affordable housing. Thus, placing the burden on the owners of rental property by limiting the ability to charge fair market rent to create more affordable housing without providing any financial incentives. All Californians should unite to guard against this growing attack on our basic economic system. We should not allow politicians tell us what is good or bad for California. Private ownership of real property has always been the first place that is attacked by those who desire social change by the redistribution of wealth. History should teach us that Socialism and Communism theories of economics that require a heavy hand of government simply do not work in both the short and long run.